This drum book is both innovative and rooted in tradition. It is designed to work on coordination in a groove context. It makes it easy to approach essential rhythmic concepts – from the most basic to the most complex – in a realistic, progressive and systematic way. 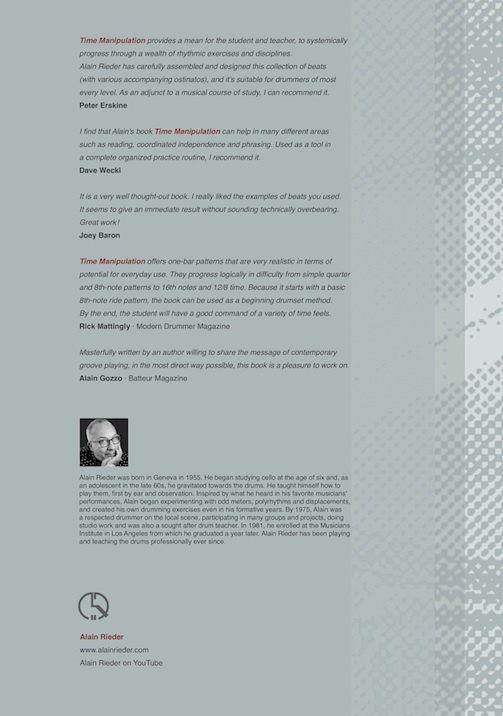 Aimed at drummers of most levels, the book has an open structure that lets you develop your own ideas and creativity. Time Manipulation was first published in 1992, gathering positive reviews from well-established drummers and reviewers. This is a new enhanced edition, first published in 2018. It is available in English & French, and soon in German as well. The book has a total of 140 pages, including 68 groove exercises of 16 measures. Combined with the suggested ostinatos, these exercises represent thousands of possibilities. In addition there are 147 examples in the book, with more than an hour of mp3 files to download, which demonstrate the examples. You will find the link to download the mp3 examples inside the book. Here is the last review published in the March 2019 issue of Modern Drummer Magazine. 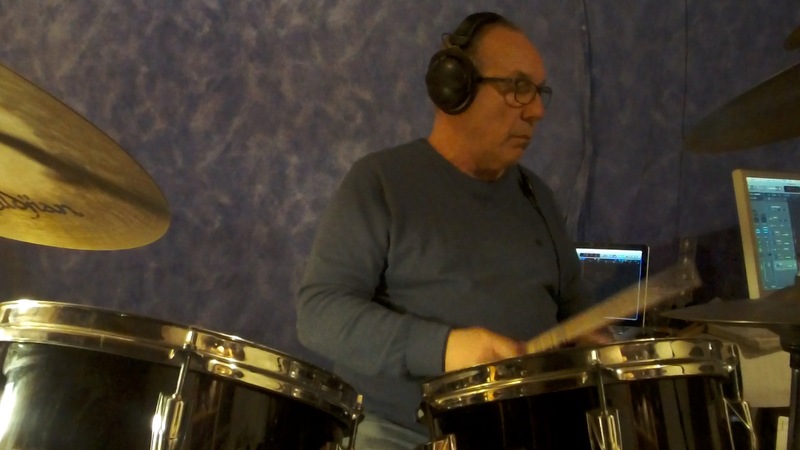 I regularly upload videos to demonstrate the exercises and rhythmic concepts developed in the book. So subscribe to my channel! By subscribing to my newsletter, you will be able to download an ebook with excerpts from Time Manipulation, as well as accompanying mp3s. You will receive the download links in a confirmation email. Books are printed on order, they can be delivered worldwide, and are printed in a geographical location close to the delivery address. I don't receive any of the buyer's details, so subscribe to my newsletter if you want to be kept informed of my new book and video releases, etc. In the stores: Germany, Nederland, Spain, Italy, France, Switzerland, FR Canada. In these stores: USA, UK, Ireland & Australia. I know this book, it is a masterpiece! I find that Alain's book "Time Manipulation" can help in many different areas such as reading, coordinated independence and phrasing. Used as a tool in a complete organized practice routine, I recommend it. It is a very well thought-out book. I really liked the examples of beats you used. It seems to give an immediate result without sounding technically overbearing. Great work! Do not hesitate, that's great work, very well presented as much on the form as on the content, I highly recommend it. Masterfully written by an author willing to share the message of contemporary groove playing, in the most direct way possible. 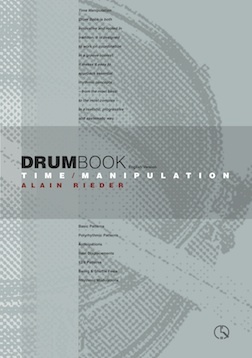 Alain Rieder has carefully assembled and designed this collection of beats (with various accompanying ostinatos), and it's suitable for drummers of most every level. As an adjunct to a musical course of study, I can recommend it. When I immersed myself in the pages written by Alain Rieder, I quickly realized that the book was worthy of the greatest interest. In 1992 Time Manipulation came out, a great book which you can use for a lifetime! I am happy that Alain decided to print a new edition of the book, adding some new stuff to work on. The "new“ updated book is a must have for every drummer and will give you much fun and improvement! 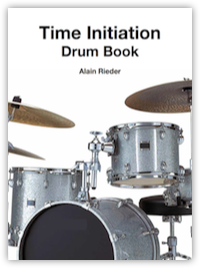 Time Initiation is aimed at beginners, or at drummers who want to review the basics and go beyond their current level. It is a clear and concise structure to learn basic coordination and groove in 4/4 and 12/8, basic breaks and fills and much more! There is a full theory section at the end of the book. It is bilingual (English & French). NB : This book is reserved for my own students for the moment, so come study with me!